It is an honour to again report to FOSAF's executive, membership and other external stakeholders on our activities, challenges and achievements during the past year. As in past years we will use the prior strategic framework for this purpose. FOSAF continues to engage with government departments to have the win-win achieved through cooperative governance at the Phakisa Ocean labs Conference in Durban in July 2014 implemented. These efforts were cemented and confirmed at various meetings with the DGs of DAFF and DEA and out main focus has been on finalising the mapping of "where trout occur". The support of numerous individuals and Trout SA has been critical in ensuring that the relevant information detailing where trout occur is collected, collated, captured, and recorded on a GIS mapping system. The foresight of investing in our own data capture has provided secure platform for recording credible data. This has also allowed us to challenge the maps and layers circulated as the record produced by other agencies (but based on the proposed regulations rather than the agreed principles). Without this independent reference data we would not be in a position to ensure the validity of the mapping process. Last years I reported that "The next steps are to finalise the mapping process as soon as possible and at the same time to harmonise the legislation (national and provincial) to facilitate the agreed enabling environment for the trout value chain." Although the mapping process of where trout occur is now completed we have not yet agreed all the other important aspects upon which the legal framework will be based. In reality therefore, very little real progress has been made since last year. I have continued to engage with DEA and other stakeholders with a view to pushing the process to a conclusion. Thank you to all those people and organisations who continue to support this campaign. We will continue to keep you apprised of any progress. FOSAF's presence on the internet and social media of various kinds is well catered for. Peter Arderne's herculean efforts deserve special mention. Peter, thank you for all your work in chasing down reports, keeping snippets going online, liaising with Flyfishing and flying the FOSAF flag in a myriad of quite unseen ways. This is an enormous task that you have selflessly carried out on FOSAF's behalf and we all owe you a debt of gratitude for the many different things you attend to on our collective behalf. As I said last year FOSAF must find a way to foster youth, race and gender and to involve communities, especially in the rural areas where flyfishing is often an important potential contributor to livelihoods. While this may sound like a sop to political correctness, the fact remains that the future of flyfishing resides in these groups of people and some of our best flyfishing waters are well stewarded by these communities. If we fail to find a way to work with them and be part of the solution we will end up being seen as part of the problem. The difficult conundrum is how to ensure this happens? The solution lies in developing the youth and river heath project that has been picked up by Chris Williams and to roll out a similar model with relevant stakeholders in the regions. I am happy to say that our membership whose participation is crucial is slowly growing. As always, we welcome any and all suggestions. FOSAF remains an active member of Trout SA nationally. Our involvement in the regions could be strengthened by better structures and a wider involvement. The benefit for FOSAF in being part of a wider interest group is self-evident. As DAFF develops policy around access to and the use of SA's freshwater fisheries FOSAF must continue to play a role in helping shape an equitable and sustainable dispensation for these ecosystems we all value and utilise. Our participation in these issues does make a difference and must continue. As noted in previous year's reports, we continue to receive remarkable exposure in Flyfishing magazine. We are indebted to Erwin Bursik and Sheena Carnie for their coverage and ongoing support. Once again our thanks goes to Stuart and Liz Tough who publish and distribute the Tippet which continues to remain a positive and respected mouthpiece for FOSAF. I also wish to thank the many fly anglers who regularly raise issues and participate in the large number of forums and chat pages that deal with matters of flyfishing interest. We have a rich seam of debate and matters piscatorial to whet almost every appetite and pique one's interest on almost every area related to flyfishing. 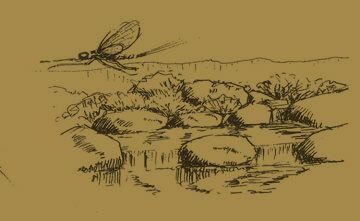 We also continue to have contact with many other flyfishing organisations including the competitive fly anglers SAFFA. I believe there is a positive spirit that had grown among most angling organisations and I for one would like this continue. We have had a number of skype conference calls this year. This has proved to be a challenging but useful and inexpensive way of communicating. Thus as in past years, while the EXCO has not met on a face to face basis, we have remained in touch and have kept communication going. I also regularly stay in touch with chapter Chairperson's and other EXCO members telephonically. I think this has facilitated communication and emails have also played a role in this regard. Our thanks go to Stuart and Liz as the Secretariat for acting as the nodal point and keeping us all in touch. In addition to these duties they also follow up membership renewals, member's prizes and the finances. I also wish to than our President Andrew Levy and Vice-presidents Tom Sutcliffe and Bill Mincher for their wise counsel and willingness to be consulted as and when required. Chapter Chairperson's will provide reports and any key matters arising will be discussed at the EXCO. Accordingly, I will not dwell on these given time and space constraints. It remains for me to thank the Chapter Committees under the able leadership of Martin von Holdt (and Brian Clark), Jim Read, Leonard Flemming (to be assisted in future by Herman Potgieter) and Chris Williams respectively. It is important to note that our Chapters remain reasonably healthy and hopefully this will continue in the year ahead. Dr Bill Bainbridge continues to lead this committee. While much of the focus has been on the NEMBA process which is reported on above, Bill and I are slowly working through the review of FOSAF's policies and guidelines document. I reported above on Peter Arderne's efforts and that would also be germane in this regard. This is a vital area of spreading our message and attracting support. We will need to consider how we expand these endeavours going forward. This year's AGM and EXCO signals the fruition of a long held belief and desire that FOSAF as a national body must situate its activities nationally. It is hoped that we will in future be able to hold our AGM's at a different location each year. This will bring FOSAF to our members and allow for better interaction with regions. Hopefully we will also get some much needed fishing done this way! Our sincere and heartfelt thanks must go to Brian Clark and his Eastern Cape Chapter team. Despite his initial reticence Brian decided to run with this ball and make it a success. Also to Stuart and Liz Tough who despite their absence have made sure some of the logistics were arranged. To Martin von Holdt as Chair it is evident that your teamwork and efforts have ensured the success of this meeting and we are grateful for your Chapters generosity and hospitality. Special thanks are also due to Annabelle and Alan Hobson for hosting us and dealing with the vagaries of the regularly changing arrangements. Our thanks also go to Bankberg Trout Angling Club. When I spoke with Alan the other day he was out at mountain dam clearing the bush so people like me could manage a cast and put a fly on the water without getting tangled up every second cast. All your exceptional efforts are appreciated. Flyfishing in South Africa has been going through something of a renaissance: The emergence of the Fly Fishing Film Tour SA, the fly-tying and -fishing Expo and the many festivals all auger well for a resurgence of the multifaceted sport we all love. Long may it continue and grow! Fly fishing technology has evolved quickly in the last decade - each year trout rods are becoming longer and flashier, large arbor reels become larger and other gear like day-pack/vest combos and clothing becomes more complex by the day. The mindset of some contemporary trout anglers is quite scary - I once encountered an angler on the Smalblaar who looked as though he had fallen from the Discovery space shuttle. He was over-kitted in a space age fly vest/day pack combo from a leading company with matching 'fly-fishing' apparel that shouted flash to me and also the trout, because he told me he had blanked for the day. To me, the romance of trout fishing is rooted in images of anglers wearing felt hats with leather or canvas sling bags over their shoulders, drifting dry flies over sparkling runs. These pictures in my mind evoke feelings of tradition and most of us have that feeling. Some, however, prefer to be trendsetters. I have always been a traditionalist in my hobbies - venerable designs make me happy and seem elegant to me. Traditional artefacts were conceived through heartfelt thought from their creators, something that seems lacking in modern computer-driven industry. A few years ago, when I ran the Forest Archery Pro Shop in Plettenberg Bay, there was a resurgence of traditional archers and bow hunters who could not relate to compound bows. A trad gang was born, which will endure and flourish, because the spirit of tradition just never seems to die. To meet this demand, I started building traditional bows and self-tanned hide quivers for traditional archers and also started making furled leaders for myself after building a split cane fly rod. The two seemed ideally suited. Now I only use furled leaders for my trout fishing, even on my graphite rods, and the benefits are significant. I now only use a nylon leaders for saltwater or larger freshwater species. Furled leaders are pretty to look at and present a fly like thistledown with perfect turnover. Today I am also making traditional sling bags and minimalist packs from leather and self-tanned buckskin. There is something very special about leather goods. They tantalise the senses with smell, touch and looks. When making my first quiver, I realised how much thought and effort goes into making something like this - blisters, cut fingers and stabbed finger points amidst the sweat and dirt from tanning hides. It made me realise the labour of love that goes into turning raw materials into something functional and beautiful. The cherry on top was the appreciation that was shown by people who bought my products. It was then that I also started appreciating the works of other crafters, analysing their design concepts and why they had been created like that. There is a special group of traditional trout fishers emerging in South Africa, all of them searching for that old feeling again. They are exceptional crafters and artists, creating sought-after items of the highest quality and beauty. In the Western Cape we have Stephen Dugmore and Stephen Boshoff who are renowned for their exquisite split cane rods. Stephen Boshoff pushes the boundaries of design with unique once-off artefacts for small stream fly fishers and Tenkaris. At the South African Flyfishing Expo held at Lourensford last year was one of his day packs, a woven wooden pack with a variant box attached to the top as a lid to the creel-like basket below. It looked very special and gave me that classic feeling. Something I wanted hanging on my side when next I waded a stream. Ryan van der Merwe is another Western Cape bamboo craftsman who is making some beautiful rods. Ryan also sources vintage tackle from around the world and sells pieces to collectors in South Africa. He recently built a Lee Wulff Midge six foot 5-weight replica. Lee Wulff used this taper to catch salmon and Tony Biggs underlined the rod with a 4 weight line to make it faster for the Cape streams. In KZN there is a group of trout fishers who are reviving split cane tradition in a big way. Dr Andrew Mather is a trout angler who loves traditional equipment and he has a fantastic collection of classic rods, my favourite being the Orvis Superfine series from the nineties. Andrew who lives in Durban, constructs his own tools for bamboo rod building and also makes beautiful rods. At the recent Epson Wild Trout Festival in Rhodes I had the opportunity to cast his latest build, a one-piece five foot Hayashida-taper 4-weight rod. Its one-piece design eliminates the deadening effect of metal ferrules and makes it feel lighter than conventional split cane designs. Andrew's background in engineering and his keen eye for detail will undoubtedly result in some stellar pieces coming off his workbench in the future. The interest in the split cane rods that were shown in Rhodes was remarkable, one could sense the feeling from anglers who just casted their first bamboo. Another craftsman who appreciates the elegance of traditional designs is Shaun Futter from Durban. His wooden fly boxes and landing nets are finished to perfection. He has the ability to take something traditional and put his mark of excellence on it. Shaun knows how to marry beautiful wood with functional design. His fly boxes are constructed with magnetic closures and slit foam inserts. He brands his work with his logo and will gladly personalise the pieces for his clients. His landing nets are solid and stylish yet echo the best of traditional design. Andrew Savides is another whose work I find inspirational. His landing nets reflect his passion and his appreciation of the innate beauty of wood. He utilises flaws in the wood he sources as artistic focal points and further enhances his nets with engraved dragonflies and mayflies. The growing interest among fly fishers in organic rather than synthetic materials and their use in products that echo and yet improve on traditional designs shows that there will always be a market for products that acknowledge tradition while combining elegance with functionality. Southern Drakensburg/KZN: Giants Cup Wilderness Reserve, Lake Naverone, Sani Valley Flyfishing and Game Lodge, Castleburn, Jandi Trading and Wildfly.